LASER hair removal can help you reduce sweating and overheating during intense workouts. People usually sweat in similar locations: underams, chest, back and face. Removing hair in these areas can significantly reduce the amount of sweat because hair acts as a barrier and prevents heat from being released. Our state of the art LASER system makes hair removal virtually painless and every effective. Sweaty body hair causes irritation. By having smooth and hair free skin, there will be less irritation and chafing. This is especially true for under arm, chest and legs after a long workout such as spinning. Complete hair removal will prevent this and increase post-work out comfort. Another benefit of LASER hair removal is softer hairless skin that can last a lifetime. Everbare uses state of the LASERs to offer the best experience in the Back Bay area of Boston. Book an appointment online or call us at 617.431.6697. Treat yourself for the holidays with IPL laser hair removal treatments! Take advantage of our holiday offer and save 20% on any three IPL treatments. To thank all of our loyal clients, we will be including an all natural loofa sponge with any IPL and waxing treatment for a limited time. The loofa sponge helps prevent ingrown hairs and allows for gentle exfoliation. Happy holidays and hope to see you soon! Keep your skin smooth and silky soft and cut on ingrown hair by exfoliating using a natural loofah sponge. We recommend using it daily as part of your shower regimen combined with shower gel for best results. To help you get ready, we are pleased to offer you every 6th LASER IPL treatment for free. This offer is good for existing customers and new customers that will begin their IPL treatments during the promotion period 3/1-5/1/2017. Don’t wait, book your LASER IPL appointment today! Once again, Everbare, has been nominated for Best Waxing in Boston. To celebrate this holiday season we are pleased to offer a complementary, all natural loofa sponge when you purchase Brazilian bikini (men’s or women’s) wax service! 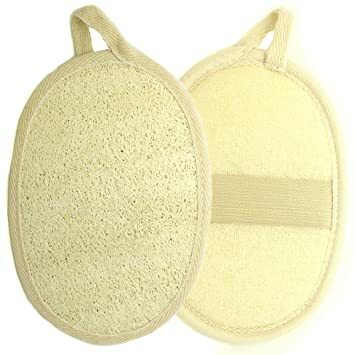 The loofa sponge helps prevent ingrown hairs and allows for gentle exfoliation. Everbare gift certificates make for great stocking stuffers too! Most people are probably thinking the summer is over so now I don’t have to shave everyday so why would I wax? Fall is actually the perfect time to start or continue waxing! A lot of clients’ biggest challenge when starting a waxing regiment is having to grow out their hair to 1/4 inch. This can be difficult to do in the summertime with nice weather and spontaneous weekend trips. Thus fall is a great time to start waxing. Hair grows in 3 different hair cycles. It takes about six months of consistent waxing every 3-5 weeks (depending of the person) to get all three of your hair growth cycles on the same pattern. When you first start waxing the hair growth cycles are not yet in sync and your waxes will last approximately 2-3 weeks before the hair starts growing back. After waxing regularly for about six months, with no shaving in between, the waxes should last for 4 to 6 weeks. Following our recommended schedule you will be much happier and the treatment as close to painless as possible. Now that you’re all smooth and wanting to enjoy it, there are just a few things to keep in mind. Your skin is sensitive and needs protection, especially for a day or two after your waxing service. We are officially in summer! Fun in the sun can cause stress on our skin. Here are some tips on how to keep your skin safe and looking great this summer ..
We have all had those moments where we should have applied the higher SPF or stayed out a bit too long and got sunburn. Apply an ice cold compress to the area to reduce the pain and cool your skin. Also after sun lotions or putting Aloe in the fridge will also help cook the skin down and keep it hydrated. We are in our bathing suits all summer long so maintaining our bikini area is essential. Now is the perfect time to try waxing instead of shaving, as it decreases the occurrence of bumps and ingrown hairs. If bumps are persistent, try our bikini facial – a services that revitalized and exfoliates the bikini area. We are proud to introduce our new service – Brazilian Bikini Wax Plus! (for men and women). This combines our award winning Brazilian Bikini Wax with our exclusive Bikini Facial. The bikini facial is customized to address specific problems such as ingrown hair and inflammation or dry skin and hyperpigmentation. Each bikini facial includes a cleanse, gentle exfoliation, and extraction of ingrown hair (if needed), and hydrating mask of the bikini area. The regular price is $105 for women’s and $125 for men’s. However, we are offering special pricing on this new service. Until June 12 the introductory price will be $90 for women’s and $110 for men’s. Stop by and treat yourself! Schedule appointment online or call us at 617.431.6697. To celebrate Mother’s Day we are offering 20% off any service valued at $50 or higher. Stop by and treat yourself. Offer valid through May 17, 2015.